A 32-year-old man was arrested Monday morning for an alleged assault on a minor. According to police, they received a report on April 2 that a three-year-old boy may have been physically abused. Early Head Start employees noticed bruising on the boy’s back, which led them to file the report, police said. After conducting several interviews, police determined the boy may have been abused and requested a warrant for John Whitchurch. Police arrested Whitchurch for felony assault on a minor around 10 a.m. Monday and booked him into the county jail at 10:40 a.m. Whitchurch was released at 11:13 a.m. on his own recognizance by Justice of the Peace Jimm Kilmer, police said. 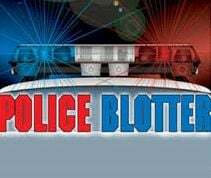 Several power tools were stolen from a garage in the 1800 block of Grand Avenue on Monday night. Police said a man was working in his garage around 9 p.m. when he reportedly went inside of his house for a few minutes. While he was away, two unidentified people entered the garage and removed several power tools, including a chain saw and a drill, police said. The man’s security system captured the burglary on video. Police are working to identify the two suspects. A $40 bottle of whiskey was stolen from Park Street Liquor on Monday. According to police, an unidentified man walked out of the liquor store with a bottle of Bushmills whiskey around noon. Police are requesting a warrant for the man’s arrest.